E.g- 1. Some countries are generating hundreds of thousands of new ‘green collar’ jobs, especially for young people. 2. During the Presidential Campaign, Donald Trump specifically promised more green collar jobs, and green vehicle bonds. 3. 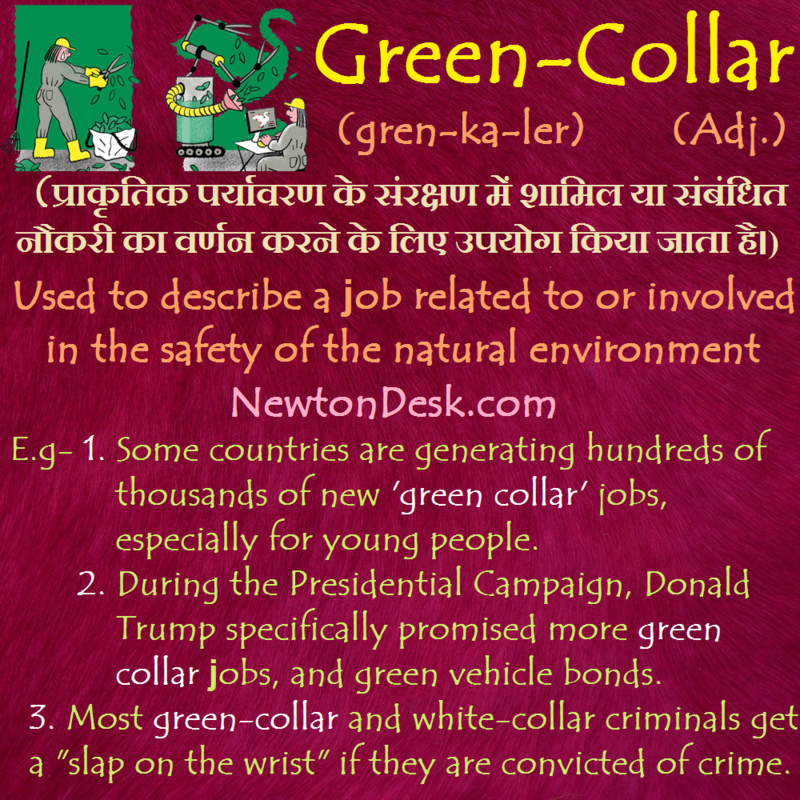 Most green-collar and white-collar criminals get a “slap on the wrist” if they are convicted of crime.